Best practice in early years education is to understand young children’s development and respect their current interests. The National Quality Framework, through the NQS and the EYLF, has created a strong focus on the importance of child-initiated learning through framing educator practice to encompass children’s active choice about what to do within any set day. 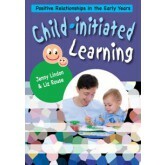 dealing with uncertainty and confusion about adult-led activities and group time Each chapter features case studies of child-initiated learning working in practice in a variety of group early years settings. 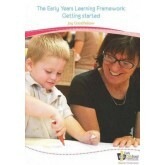 This book is essential for all those working in the early years looking to offer stimulating and challenging learning experiences with every child in their setting. 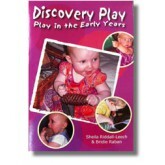 This practical guide offers advice on setting up treasure basket and discovery play sessions at all stages up to 5 years old. 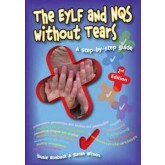 It comes with links to the EYLF and schemas. 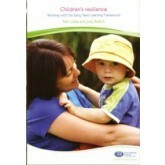 This new title in our EYLF series links the EYLF and documentation. 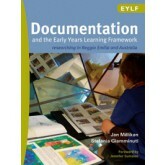 Drawing on research from both Reggio Emilia and Australia, the authors are well placed to offer these insights. Jan and Stefania have taken up the challenge of ensuring that belonging, being and becoming doesn’t descend into cliché. As they explain, they have written ‘with the aim of sparking enriched responses to belonging, being and becoming’. And indeed, they have succeeded beautifully in showing how the principles of the Reggio Emilia educational project in Northern Italy can map so effectively onto the principles of the EYLF. But importantly, they also show how bringing Reggio Emilia principles into conversation with the EYLF can provoke new ways of thinking about the possibilities of the EYLF. By focusing particularly on documentation, they make a timely and valuable contribution. They challenge some of the many myths about documentation that have emerged and taken hold over recent years. They complicate every day understandings and push readers to think more deeply about the possibilities that this distinctive aspect of early childhood practice affords. But equally importantly, they discuss ethical issues and related concerns that have been raised about documentation. 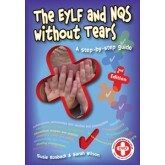 This guide is specifically designed to introduce and support educators in coming to know about, understand and work with the EYLF. This book explores the central understanding upon which the Framework has been built, and looks at the why and how of educator's engagement with the ideas and understandings that can be found within it. 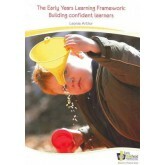 Author Leonie Arthur uses practical examples in this book to show how some children demonstrate their progress towards meeting these outcomes and how some early childhood settings plan, document and reflect on children's learning. With much wider data from assessment rounds now available it is the perfect time to produce a revised edition. Major changes are in the section on assessment and rating which now includes feedback from educators who have been through the process. Questions answered in the new edition include: • How did you prepare for assessment and rating? • How did you find the assessment and rating process? • What are you doing to continue in raising the standard at your service? The Quality Improvement Program section has been updated to better reflect the process of completing and updating a QIP. The revised edition is now in full colour so that photos, chapter trees and posters are more appealing, making the book easier for the visual learner to engage with its contents The new edition is also available packaged with a DVD which features Susie Rosback presenting a training session. Susie shares her journey, showing educators how they can use the book to help their service understand and meet the requirements of the EYLF and NQS, and providing practical guidance on preparing for the assessment and rating process. With much wider data from assessment rounds now available it is the perfect time to produce a revised edition. Major changes are in the section on assessment and rating which now includes feedback from educators who have been through the process. Questions answered in the new edition include: • How did you prepare for assessment and rating? 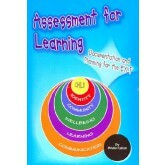 • How did you find the assessment and rating process? • What are you doing to continue in raising the standard at your service? The Quality Improvement Program section has been updated to better reflect the process of completing and updating a QIP. The revised edition is now in full colour so that photos, chapter trees and posters are more appealing, making the book easier for the visual learner to engage with its contents.